I went to Almere today because I went there for business. I can now officially say I just founded my own company. I'm gonna write texts for company's and of course I'm gonna keep on blogging. And I hope my blog will help with getting writing jobs. 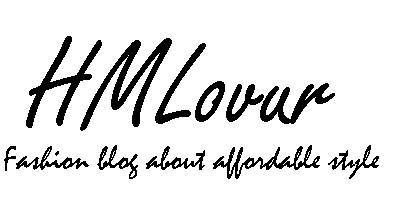 I want to continue with writing about affordable fashion brands. Because I love affordable fashion brands since I'm not exactly rich. And I'm guessing most of my readers (and blog readers in general) aren't either. I went to McDonalds for some food and Primark for shopping after I registered my business! I mean, I had to celebrate right? And I wanted to go to Primark again for so long, this is the first time I went this year! I spotted this Game of Thrones sweater at Primark and I knew I needed to buy it. I read the books and I watched the tv show. I can't wait for the new season (end of March or beginning of April, I'm not completely sure). 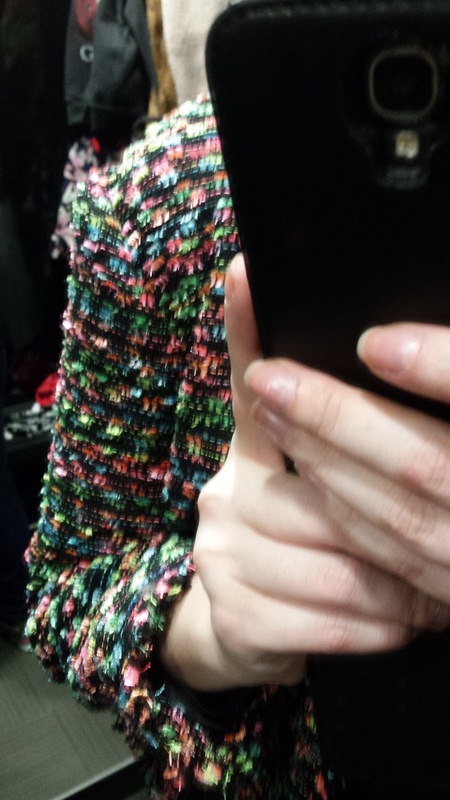 This price of the sweater was € 14,-. It's quite wide and I'm probably gonna wear it mostly at home. But I know myself, I would regret not buying it. Primark also had several T-shirts for only € 3,-. I saw three T-shirts I liked and ended up buying all three of them. This red T-shirt has my favorite color and it has a pineapple print. Great for summer, because it goes with so many of my clothes! This T-shirt was also € 3,-. I loved the print, even though I'm still not sure what kind of print it is. I thought Aztec, but now I'm not sure. Whatever it is, I like it! I woke up like this. I saw the text online before on T-shirts, but never in a store. This T-shirt was also only € 3,- and I love the text, so I couldn't resist. Can't wait to wear it! This dress is super cute and perfect for spring and summer. It looks great with a denim jacket, heels or sneakers for a girly touch. And it looks great with a black or brown biker jacket for an edgier effect. It was only € 7,- and I bought this one at Primark. 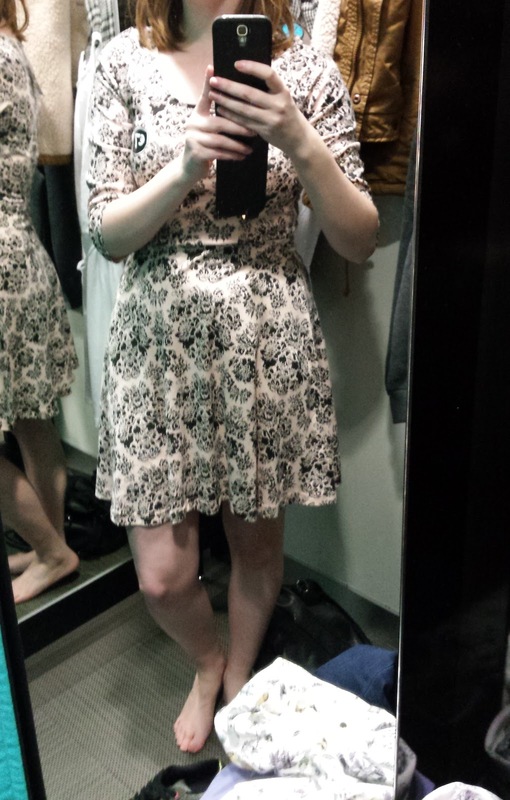 I also tried this dress on in red, but the size was too big and there wasn't a smaller size either in the store. So sad! The last thing I bought at Primark were Harry Potter socks for € 3,50. I love Harry Potter and I thought these socks were cute and fun. They came in a three pack for € 3,50. I'm definitely gonna wear this dress with a denim jacket, perhaps with this new denim jacket from Bershka. The jacket was now only € 9,99. It was on sale and used to be € 29,99. Such a bargain, a denim jacket for only € 9,99! And I wanted a shorter denim jacket since forever! The funny thing is, I was kinda tired after shopping for a while. I went into Bershka but I didn't think I would leave the store with any new clothes. I spotted great floral pants for only € 5,99, but I wasn't in the mood for trying it on. 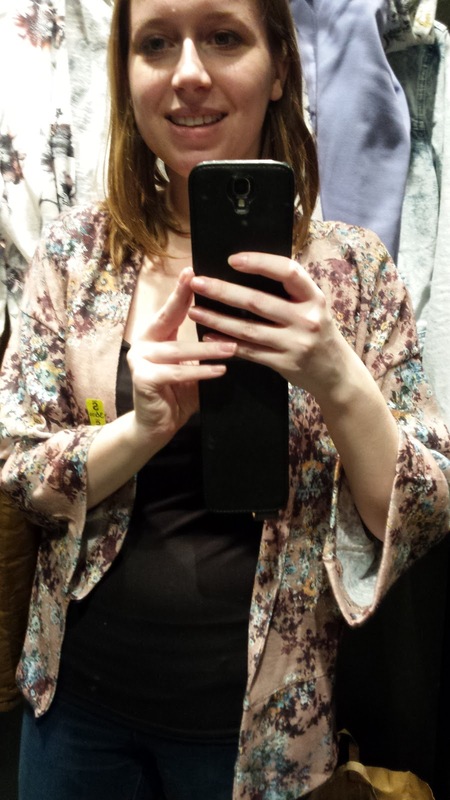 But then I spotted this floral kimono for only € 7,99 and I knew I had made the right choice by going to Bershka. Another denim jacket, love the washed effect! This jacket was on sale as well and also only € 9,99. I wasn't sure if I should buy it, since I was gonna buy the short denim jacket. My mom then bought this jacket for me, how sweet! And that were all my purchases, quite a lot again and perfect items for spring. This red dress is the same as the white dress I bought. 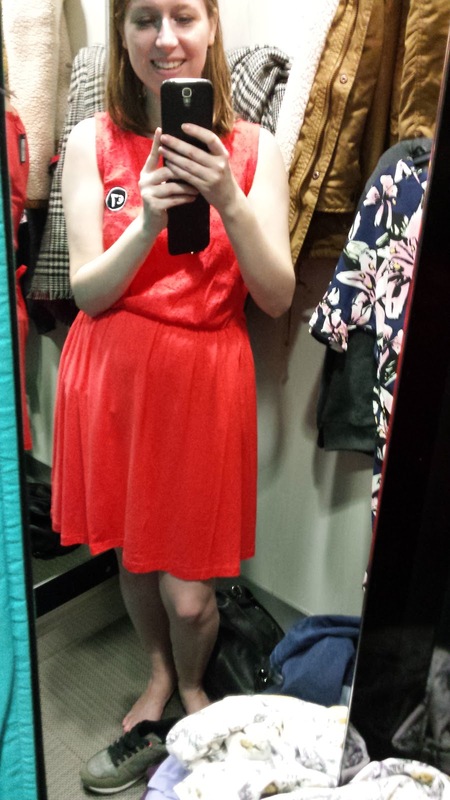 But this red dress was too big and the size smaller wasn't in the store anymore. Such a shame because I really want this dress in this color as well. This was still at Primark. 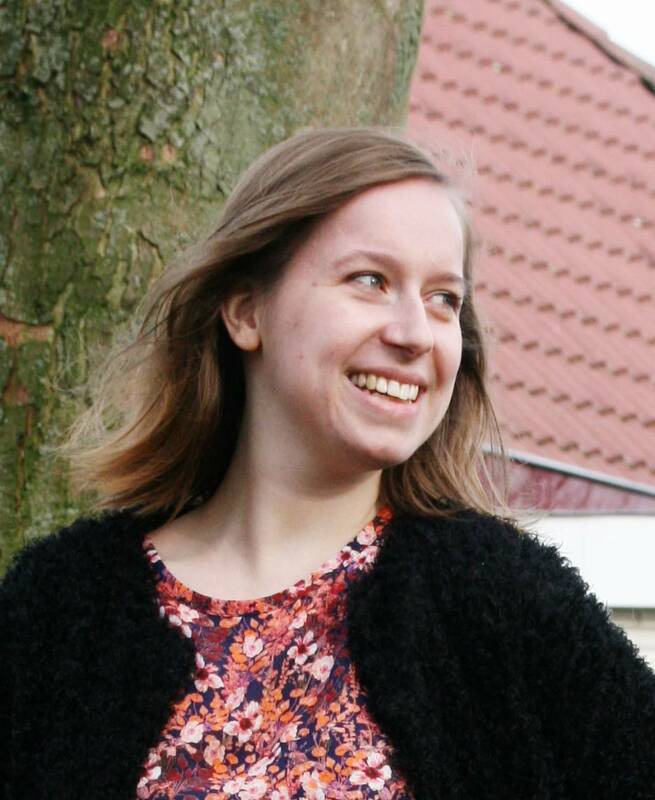 This dress was € 7,- as well but I didn't really like it because of the print. 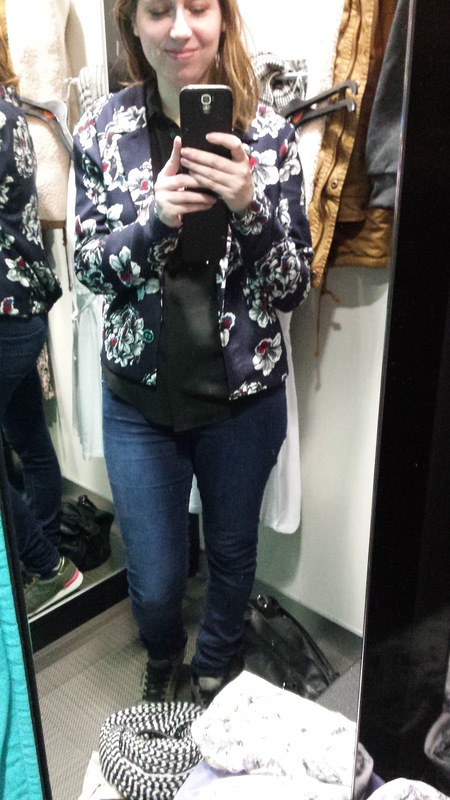 I have no idea what the price of this floral blazer was, but I didn't really like it when I tried it on. 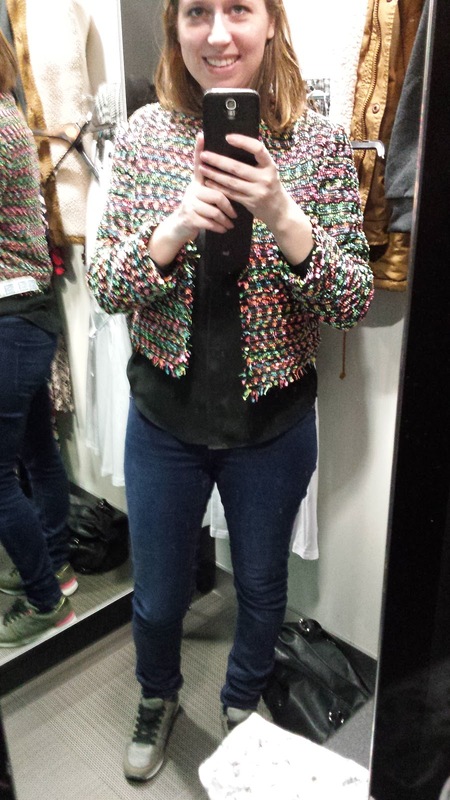 This blazer was € 23,- and I like the blazer, but just not on me. I think it can look great, especially if you wear a lot of black. But I felt this blazer didn't suit me. These were the items I tried on at Primark, but didn't buy. I tried on the following items at Bershka, but didn't buy them. One of these items was this Aztec vest. 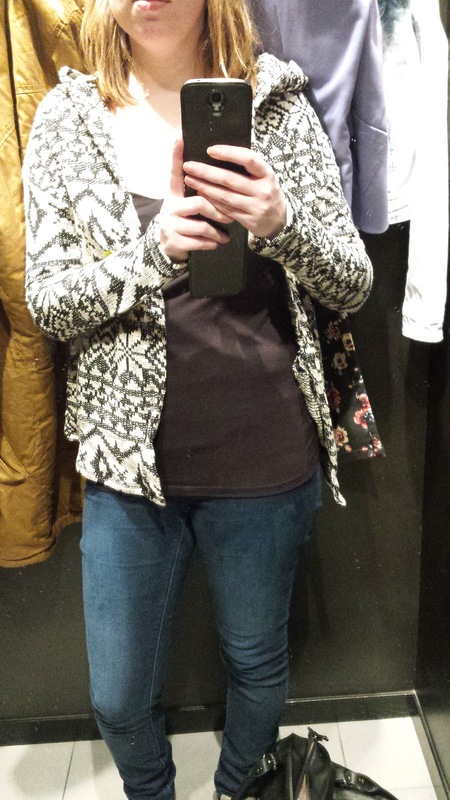 While I like Aztec print, I wasn't that fond of this vest. I can't remember the price, but I think it was on sale. This kimono had a lovely brown color and was only € 7,99. But I already wanted to buy the white one, even though I don't own a brown kimono (yet). I didn't want to buy this kimono and the white one, because I already spent quite a lot of money and I was gonna buy a denim jacket at Bershka as well (see the short denim jacket in this post). The same kind of kimono as the brown and white one, but with a different print and obviously a different color. 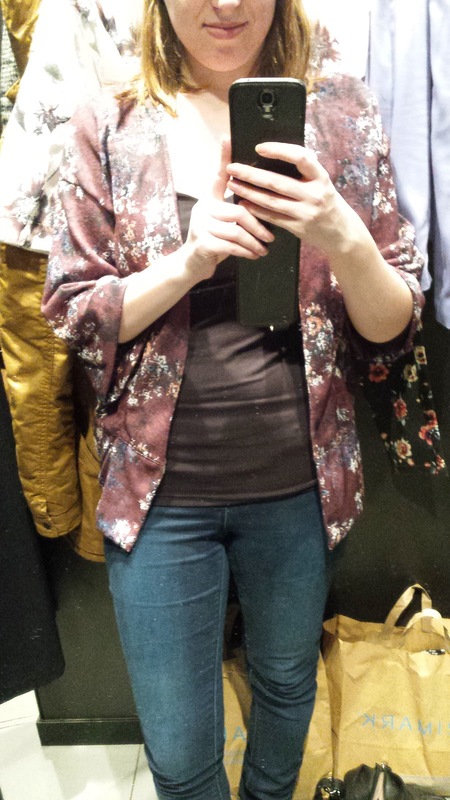 This kimono was also € 7,99 and I thought the color was slightly too dark for my taste. Plus, you know, I already wanted to buy the white kimono.